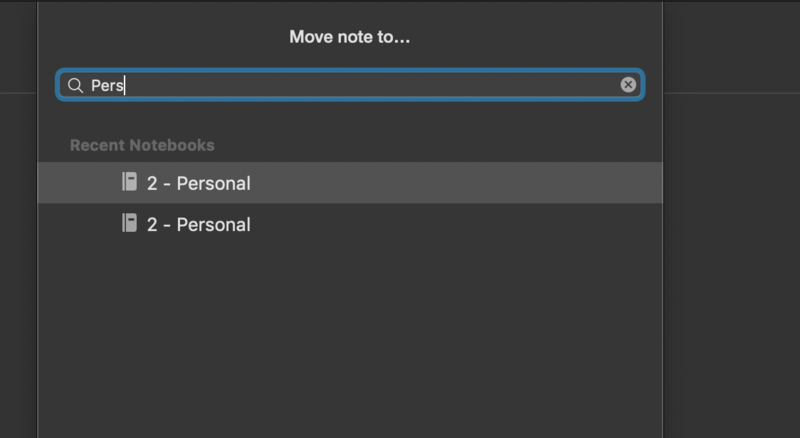 I am a member of a shared notebook but it appears twice in my list of notebooks, both on the web and in the Mac client. Sometimes clicking an internal evernote link in one of the duplicates takes me to the corresponding page in the "other" version of the same, sometimes to the page in the same version. Anyone encountered this and have a solution? @MIkeOWaterloo, have you verified whether you potentially have two separate notebooks shared to you as opposed to just duplicate entries? If you click on one notebook and create a note, does it appear in the other notebook? Also, I assume the duplication you are referring to is in the "Shared With Me" view, and not in your actual Notebook list? @Tim Barcz Thanks for bringing this up. This is a bug we're currently looking into at the moment.